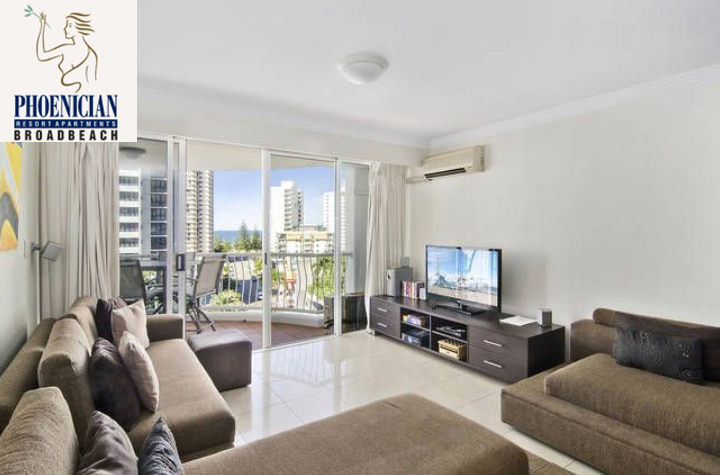 When you’re looking for the best accommodation it’s hard to beat Gold Coast holiday rentals. They just tick so many boxes, whether you’re travelling as a family or a couple. Whether you’re looking for self-catering, Airbnb on the Gold Coast, hotels or holiday homes there’s one solution that keeps everybody happy and that’s renting a resort apartment. But you do need to shop around to find the best apartments and the best deals. The best Gold Coast holiday rentals give you a fully equipped kitchen, so you have the choice of eating in or dining out. This is a must when you’re travelling with children. The Phoenician Resort Broadbeach understands this so you don’t just get a full kitchen, but also your own washing machine and dryer, too. When it comes to Gold Coast holidays you also want easy booking and hot deals. Book online with the Phoenician and you’ll get access to the best deals ever. Whether it’s an extra night thrown in for free, seasonal discounts or free Wi-Fi, there’s always something special. If you’re looking for Gold Coast luxury you’ll find it here. It’s not just the apartments that are luxurious but also the fact that you can stroll down to the swimming pools, spa and sauna, or the beach. Whether you’re visiting for pleasure or business Gold Coast holiday rentals fit the bill. There’s easy access to the Gold Coast Convention and Exhibition Centre for functions and trade shows, as well as big brand shops and gourmet dining. Renting an apartment gives you far more room to spread out and work, meet with colleagues or entertain clients. Every type of Gold Coast accommodation has its ups and downs; hotels can be expensive and too public, holiday homes can be hard work and B&Bs don’t give you enough space. A Gold Coast resort apartment gives you everything you need at the price you want to pay.